More and more people are interested in Arminian theology, which is is an account of the Bible’s teaching on salvation that is named for the 16th century Dutch Reformer Jacob Arminius. 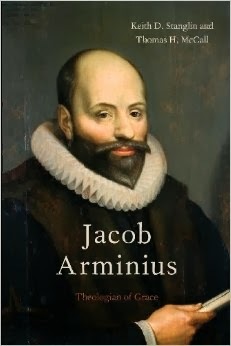 This increased attention to Arminius is due in part to presently rising interest in Calvinism and Reformed theology. Some people are interested in Arminian thought because they are deeply concerned by the inherent problems with Calvinism and go looking for an alternative. Others take an interest in Arminianism because they are Calvinists and they desire to refute the alternative perspectives. If you consider yourself an Arminian, it’s a good idea to read a few books so that you know what it means to adopt that label. If you are a Calvinist interested in arguing against Arminianism, you need to read enough to level a fair and informed critique. A careful reading of the right three books on a given topic should give you a basic introduction to the major issues and their general implications. You need to pick the right three books, though. They will, of course, cover some of the same material; repetition is good for getting the basics. But they should also come at their common topic from somewhat different angles to give you a sense of the nuance involved. So, here are three books – one constructive, one corrective, one polemical – that will complement each another and give you a solid and well-rounded introduction to Arminius and the theological tradition that bears his name. If you are going to be an Arminian, it’s a good idea to know a little bit about Arminius himself and the origin of his thought. This book will do just that. One major strength of this volume is its careful attention to the historical circumstances in which Arminius’ views developed. The first chapter introduces Arminius’ life. Then three remaining chapters are devoted to the Dutch reformer’s views on “God and Creation” (chap. 2), “Providence and Predestination” (chap. 3), and “Sin and Salvation” (chap. 4). I was particularly interested in the way Stanglin and McCall present the controversies over election and predestination as an in-house debate within the Reformation. Arminius died a minister in good standing in the Dutch Reformed Church. I’m inclined to think the present day debate between Calvinists and Arminians would benefit from the perspective of it being an in-house debate. 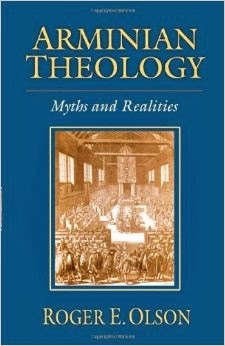 If the above book by Stanglin and McCall explains what Arminian theology is, this book by Roger Olson explains what it is not. Mis-information about Arminianism abounds. Far too many people erroneously think that Arminian theology means believing in free will or entails a denial of the sovereignty of God. Like Stanglin and McCall, Olson attends closely to the primary sources, and he demonstrates that many presently popular portrayals of Arminian thought simply fall short of accurately representing classical Arminian theology. Arminians should read this book to avoid misunderstanding the view they claim to hold. Calvinists should read this book to avoid critiquing false portrayals of Arminianism. Once you’ve got the basics of Arminian theology and cleared up some of the common misconceptions, you are ready for a polemical work that takes on the opposing views. 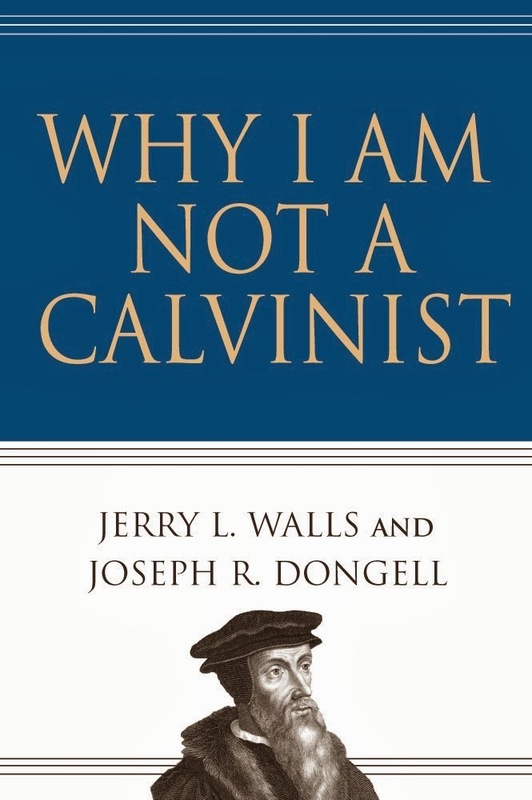 Why I Am Not a Calvinist by Walls and Dongell does just that. The real strength of this book is that it is co-authored by a philosopher and a biblical scholar. So, the critique of Calvinism is fairly comprehensive. The first two chapters focus on how we approach and engage the Bible with regard to the debate between Arminians and Calvinists. The remaining chapters take up the more philosophical issues in Calvinism like the nature of human freedom and divine sovereignty, among others. The real strength of this book is the way it shows that Calvinism does not simply depend on scriptural exegesis but on philosophical commitments also. Arminians will appreciate its thoughtful arguments against Calvinism, and prudent Calvinists will take seriously the critique. Some estimates are that over 50% of evangelical teenagers repeat their born again experience due to a lack of assurance of salvation. Do we see that kind of insecurity regarding salvation anywhere in the New Testament? Doesn't that high a level of insecurity regarding Christ's FREE gift of salvation indicate a problem with Arminian evangelical theology? I just started reading 'Why I Am Not A Calvinist.' Great so far. I also have 'Why I Am Not An Arminian” and “Salvation and Sovereignty” by Keathley. Thanks for the suggested resources. I've added them to my Amazon list. Hoping to pick them up soon. Walls/Dongell are really accessible and offer both Biblical and philosophical reasoning. I haven't read Olsen's, so I can't comment on it, but you won't be sorry if you read “Why I am not a Calvinist”. Thoughts on Olson's “Against Calvinism”? Trying to decide if I should read the Walls/Dongell volume or Olson's first.